One of the most effective ways to speed up Inkscape is to combat Filters. 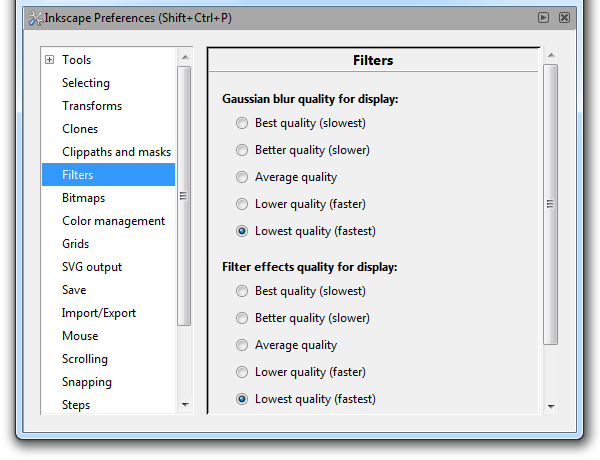 Head up to File > Inkscape Preferences and look for the Filters menu. Here you can adjust the Gaussian blur and Filter effects quality to your liking. In that same menu, scroll to the bottom and you’ll see the option to change Number of Threads. If you have a multi-core CPU, go ahead and add some threads to theoretically speed up some rendering. 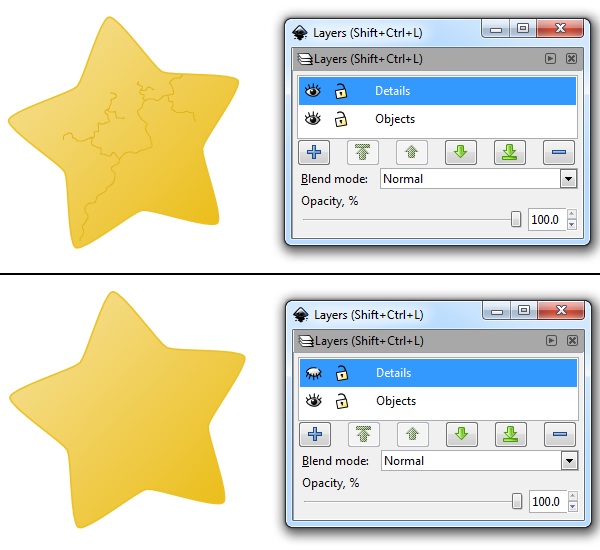 Another really effective method to increase your Inkscape speed is to head up to View > Display Mode > No Filters. Any of your objects with filters (blurs, shadows, etc) will simply appear without any fancy effects. They won’t export this way, of course. Clever use of Layers will also yield some better performance results. Below, I have a crackling detail inside my star that’s actually about a thousand nodes (which totally ruins performance). What you can do is place resource intensive details such as this in a separate layer, and then click the eye icon to hide them when not in use. Now that you have these performance tips, you no longer have to wonder why Inkscape is so slow! Go ahead and tinker with these and get a combination that works well with your setup. Thanks for reading!